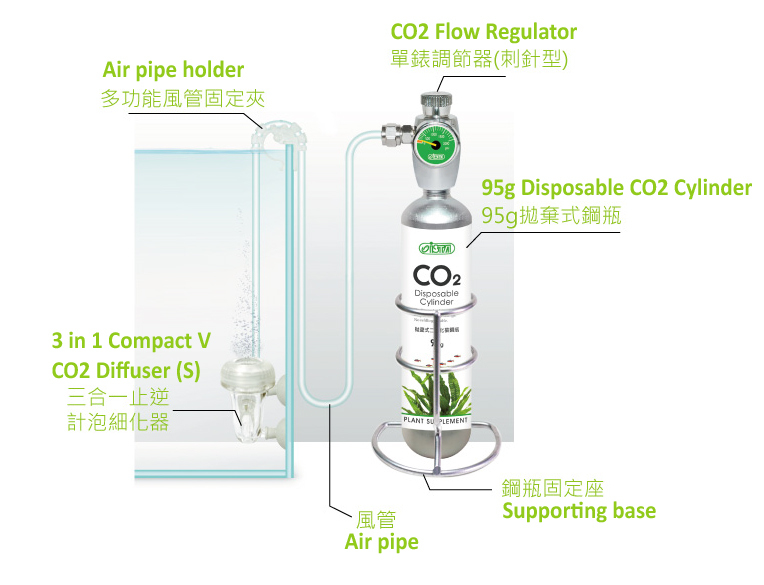 3 in 1 Compact V CO2 Diffuser, assures best diffusing effect, clear bubble counting, and no bakc flow! Easy replacement of diffusing ceramic. Air pipe holder included, effectively prevents the pipe from bended and clogged.